Apricot pink flower heads composed of clusters of dainty florets bloom in early to mid-summer, keeping company with lavender blue campanulas and larkspurs and scarlet Maltese Cross. 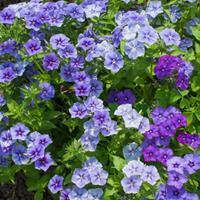 A rare heirloom, given old names such as Nonesuch and Mock Sweet William, it is a hardy survivor in cottage gardens. Easy and pest free, grow in masses for the best show. This could be the ‘pale red’ variation of the traditional bright scarlet Maltese Cross that was mentioned in Curtis’s Botanical Magazine in 1794. Starting Indoors: Six to 8 weeks before last frost, surface sow and firmly press into preferred growing media; cover with plastic to retain moisture until germination occurs. Keep at 65-70°F with light by placing in a sunny window or under grow lights, as these seeds require light to germinate. Keep moist, but not soggy. Thin about 1-2 weeks after germination. Starting Outdoors: Direct sow mid-spring-early summer. Will bloom the first year if sown in spring. 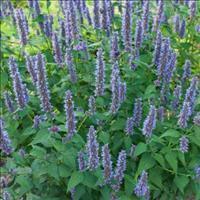 Excellent for cutting gardens, cottage gardens, meadows, and perennial borders, Maltese cross is deer and rabbit resistant while attracting bees and butterflies. Deadhead for neatness and more blooms. Cut back to ground level in autumn. Watering Details: Drought tolerant once established. 1” of water per week initially, then water during dry spells. Fertilizer: Mix about 2” of compost into the soil at time of planting, and top-dress every spring with about 1”; scratch in. Diseases & Pests: No serious diseases or pests. Plant: Mass of green stems 1.5-2.5’ tall and 1’ wide with lance-shaped leaves. Flowering: Apricot pink flower heads early to mid-summer. Cut back after flowering for a second bloom in early autumn. Seeds: Flowers turn into brown capsules containing tiny black seeds. Self-sows. Cultivation of this species first started during the Crusades.